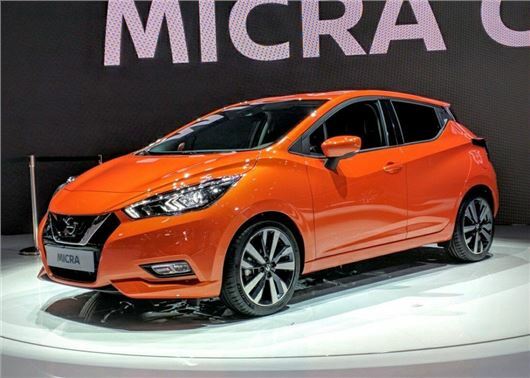 Nissan has revealed the long-awaited new Micra at the Paris Motor Show 2016. The Ford Fiesta rival will major on economy and be powered by a range of efficient petrol engines, ranging from 0.9 to 1.0-litre in size. The new Micra should reach the UK by March 2017. There are no details from Nissan on pricing, but the design of the new Micra remains faithful to the Sway Concept that first appeared at the Geneva Motor Show in 2015, with a large V-shaped grille, boomerang-shaped lights and short overhangs at the rear. Other design features include hidden rear door handles and an extended roofline that incorporates a spoiler. At launch, Nissan will offer the choice of a 0.9-litre turbocharged three-cylinder petrol engine and a 1.5-litre diesel, both developing 90PS.The range will be joined by a 73PS 1.0-litre petrol in the autumn of 2017. There are no details regarding fuel economy or CO2 emissions, but we'd expect the petrols to emit less than 100g/km. 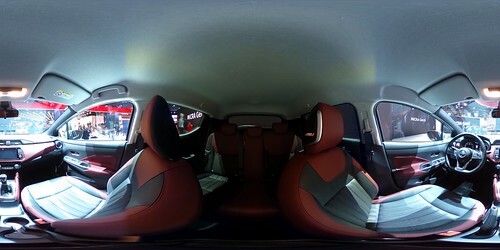 The minimalist interior will feature a raft of personalisation options, which will allow buyers to choose from 125 different variations in colour and tone, enabling then to stamp their own style on their new Micra. A six-speaker Bose sound system will also be available along with seven-inch colour touchscreen that will display downloadable apps that will be compatible with Siri voice control via Apple CarPlay. The new Nissan Micra will be built in the same factory as the Clio and Zoe, at the Renault plant in Flins, France. Sales should start from the spring 2017.